After Duminku Mintoff, Eddie Fenech Adami, Herbert Ganado, Mgr Victor Grech and Fr Hilary Tagliaferro, it is now Mabel Striockland’s turn. 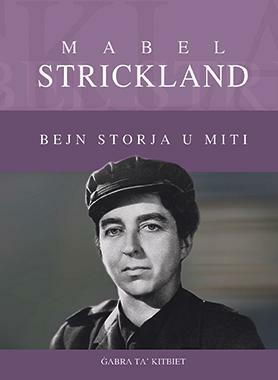 Horizons’ volume Mabel Strickland bejn storja u miti: Ġabra ta’ kitbiet, edited by Sergio Grech, focuses on Lord Strickland’s daughter and a force behind this newspaper. The book gives detailed attention to that part of her life during which she was politicaly active. It puts some questions about her role in the colonial and post-colonial life of Malta. Her sister, Cecilia de Trafford, is also brought into the picture. Maltese women’s role in the political sphere is also raised in the publication.